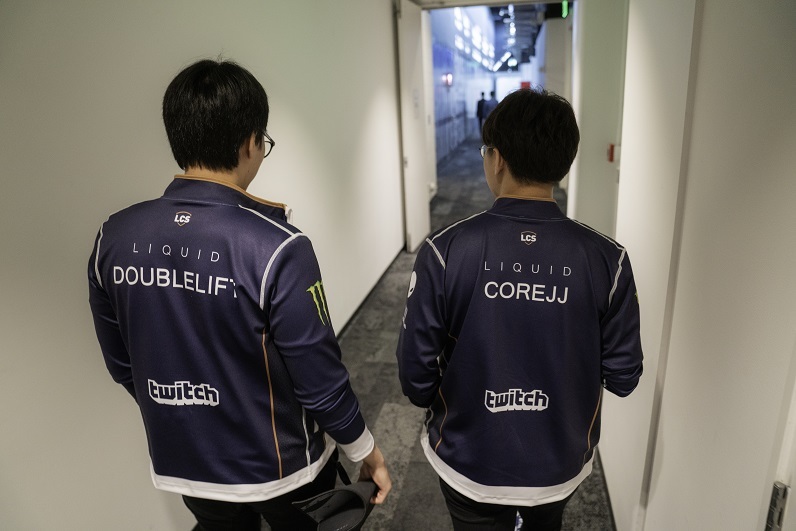 Right now, CoreJJ is in contention to be the MVP of the 2019 LCS Spring Split. He has the highest KDA of any support, the 4th highest KDA overall, and the highest kill participation in the LCS. 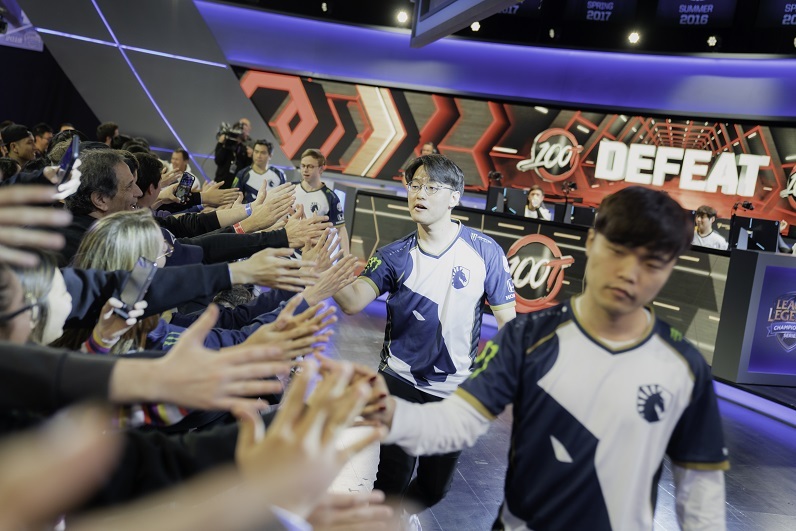 With a 14-4 record, Team Liquid has looked unstoppable all split long and it’s in no small part due to CoreJJ. Casters and analysts regularly tout him as the best support in the LCS while his teammates praise him in ways that most supports only dream of. This is a world champion who has come to NA and played beyond expectation, yet in conversation CoreJJ doesn’t wear any of that accomplishment. When I first heard that, and for the first few questions of the interview, I thought CoreJJ might be the humblest player to have won Worlds. As the interview went on I understood that he wasn’t just speaking from a place of humility, but with a team-focused mindset. Many of League’s biggest names go hand-in-hand with the franchises they play for: Faker and SKT, Rekkles and Fnatic, Perkz and G2, Bjergsen and TSM. CoreJJ isn’t one of these players. For CoreJJ, change has been a constant. Though Gen.G was his home for a while, his changing of teams, roles, and regions have given him a unique understanding of how important the team is. CoreJJ’s willingness to improve goes even deeper still, right down to his Core and his J’s. His desire to improve was a big part of why he left Gen.G and came to Team Liquid. “I played 3 years in the same team. I just wanted [to find] new motivation and to try something new. I wanted to refresh myself. I thought I saw my limits at Worlds, and I thought, ‘Should I retire?’ But better than retirement or streaming, I decided to try other options. This time as a new player. I want to be like a new player, like a rookie. I want to be like a rookie.” In CoreJJ’s case, self-improvement allows for no half-measures. To him, a total reset is better than getting complacent. As both a selfless team player and an introspective person driven to self-improvement, well-rounded seemed the best way to describe CoreJJ. It wasn’t until we started in on the lighter questions that it became clear that there was another side of CoreJJ - a competitive one. The crowd, the competitive scene, and the thought of victory are as much a part of CoreJJ’s motivation as anything. Beyond being humble, selfless, or driven, CoreJJ is a competitor. He wants to play not just at his best, but at the World’s best. He wants to hype up his supporters while silencing the enemy’s. He wants to bring NA its first international trophy and bring TL up to the highest standard of play. CoreJJ wants to win. Plain and simple. With the interview almost at a close, CoreJJ showed just how competitive his mindset really was while answering a light question not much related to League or competing. “Outside of League, what games do you like to play?” I asked.